Seattle has over 90 unique neighborhoods. 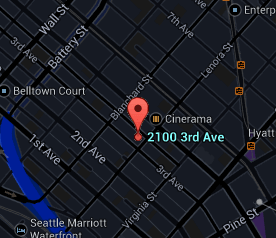 The location of Royal Crest is in the area known as Belltown. Every building has its own personality and attributes. The community is an important aspect of city living and can have an impact on how integrated it is with the residences. The Royal Crest building features can be explored here. A full list of amenities within the complex is displayed to help understand the offerings of the project. Known to be the first high-rise built in the Belltown neighborhood, the Royal Crest is a 128-unit, 26-story steel reinforced concrete high-rise condominium complex. The 21 top floors consists of 132 privately-owned units with only 6 units per floor. Most units feature large, open floor plans with spacious decks with sound, mountain or city views. The 2nd and 3rd floors house 58 parking spaces for homeowners. The 4th swimming pool and swim deck, two saunas, two shower rooms, fitness center, fully furnished party room and an exterior terrace. Full security is provided through a television monitor/voice intercom system in the lobby plus an on-site resident manager. All active, contingent, pending, and sold listings for the Royal Crest building. The Stroupe Group specializes in downtown Seattle condominiums. All the articles that have been published by the Stroupe Group concerning Royal Crest and Belltown can be found here.